It has been said that if you don’t stand up for something, you’d fall for anything. In the case of WP, it appears to be willing to stand up for anything, as long as it gets to sit in Parliament. Take the case of Mr Pritam Singh. 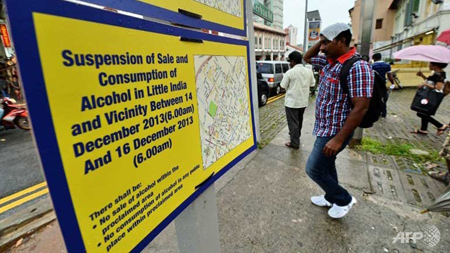 Speaking about the alcohol restrictions in Little India after the riots, he related how some Singaporean Indians he spoke to “were unhappy” that there was a ban on alcohol indefinitely. He was informed by the Government that it was not a ban but merely restrictions on sale. MP of the area, Denise Phua got up to say more than 80 per cent of residents who live there want these restrictions to stay. It took Mr Singh a mere 30 seconds to work out the political sums – the restriction was a vote winner! He quickly stood up to speak again – over the protest of the Speaker of Parliament. “Whatever rule the Government applies in Little India, as long as it is applied across the board, I think I’ll be satisfied with that,” he said. Now this blowing with the popular wind may be laughed away in small issues, forgivable as the price of politics in larger national debates – there are after all, few naiveties in Parliament – but when the WP poses itself as a serious contender for political power, it is worth looking at its concrete ideas for the people of Singapore. In the 12th session of Parliament, the WP has shown us that they stand on a two-legged stool – anti-PAP, anti-government. It has no positive ideas to share. By extension, they cannot agree with anything the PAP Government says, or does, no matter how eminently sensible or how much it helps solves real problems. It is a simple tactic of winning people over with populist posturing. The result: A precariously dangerous situation where we have an opposition in Parliament that will be willing to do anything to gain votes. If anything goes wrong, they who pulled the house down, will turn around and say – who me? Take Mr Singh’s parliamentary reply again. First of all, the ADIZ is not in the South China Sea, but the East. The Senkaku islands are not the Spatlys. Second, an ADIZ is not a net you throw over a space. It is a deadly serious security measure. The establishment of the ADIZ in the East China Sea has seen strong reactions from Japan, South Korea and Taiwan, as well as the United States. This is a formidable regional security puzzle and indeed a topic worth discussing. But not perhaps with a man who does not even take the time to find the place he is asking about on a map. Instead he wades into deep international waters with no care for the risks he exposes Singapore to. When you ask a question in Parliament, you are not asking the uncle at the coffeeshop or posing an academic puzzle. When Mr Singh files this question, he is either flippant about PQs, or being deliberately mischievous. A third possibility – he is simply all too human. But all three are poor excuses for an MP. This is a man who shifts his position to suit the popular opinion. Can we trust him to hold hard on matters of principle? More critically, can we trust him to hold hard for Singapore? Or will he join in the “Singapore” bashing whenever it suits him? On a larger scale, this has been WP’s stance on many hard choices for Singapore. Take the issue of foreign workers. Depending on which way the political wind blows, they have variously argued for the quota on foreign workers to be relaxed and to be tightened. 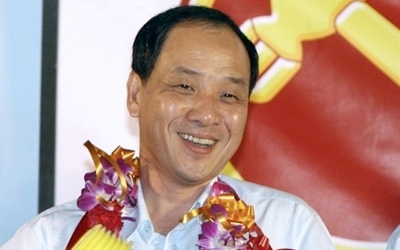 In 2012, at a time when small businesses were feeling the pain from a reduced number of foreign workers, Mr Low Thia Khiang criticized the government for cutting down these numbers too quickly. Then, the next year, at the Population White Paper debate, when the public sentiment was against an increase in population, the WP turned around and said – freeze foreigner numbers for eight years. A Parliamentary seat is hard won and must be honourably held. It is not a free pass to a political stage for the WP to accrue capital. If the WP cannot understand these basic rules of engagement, it does not deserve a seat at a table for grownups.